darling shorts and love your shoes! 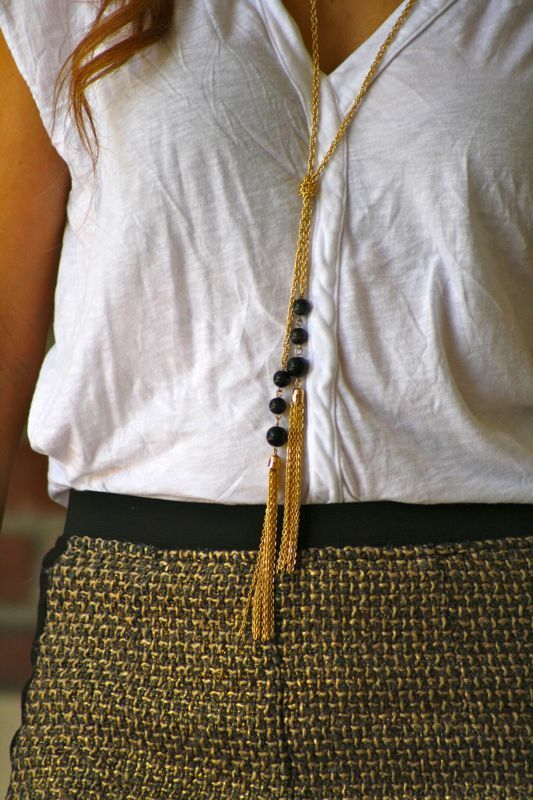 I've been loving tassel necklaces too! The main one on my wishlist is the J Crew one! Gorgeous look! Your legs go on for miles! And I love the sunnies as well!